Shea Brand Organic Eczema Lip Balm - Eczema Suitable. Having dry lips or suffering from an eczema condition called Eczematous Cheilitis can be very frustrating and painful. We have found a product that really helps and want to share it with you, Shea Brand Organic Eczema Lip Balm. We get asked at least once or twice a week on our Facebook Group Page ‘ what’s the best thing to put on your lips to get relief from the pain and dryness or even cure it forever?” They ask. I have suffered from eczema now for the past 48 Years and my son for the past 20. We have experienced this problem and although we didn’t have Eczematous Cheilitis we had very dry lips due to our eczema condition. We both suffer from Atopic Eczema, you can read our story on the first welcome page of our website. Our skin is very susceptible to the weather and to external factors like chemicals, food and even dust. Dust mites have been an issue for us for years and made us both itch like mad. But that’s another story. If you’d like to read our blog on Eczema Dust Mites then click the link provided. Anyway, Back onto Eczema on your lips. 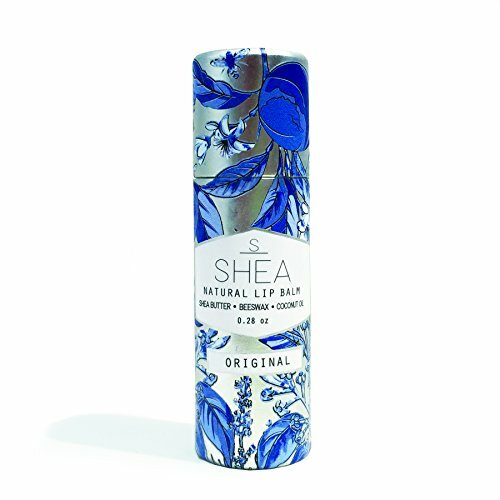 We tried many different lip balms and creams until we came across Shea Brand Organic Lip Balm. Containing one of the best products you can use on your eczema, Shea Butter this lip balm work really well for us. Don’t get us wrong, we are not saying it will work for everyone as it contains Coconut Oil and some people have bad reactions to this. Especially young children so you need to try a small amount first and check for any redness or swelling. If you see anything wipe off with water and don’t apply again. You will need to search for a lip balm which contains no Coconut Oil. We found this one on Amazon called Finally Pure Kids Lip Balm. We would recommend the Shea Brand first and if that works for you then great. You’ll find it helps just like we did. We use them in summer to prevent dryness and in Winter to protect from the weather and cold winds. This is the one we use. NATURAL & ORGANIC: Made from all 100% natural certified organic ingredients: protective beeswax, stabilizing Vitamin E, regenerative shea butter, and nourishing coconut oil. This is the only lip balm you will ever need and will quickly become your go to for soft long lasting, kissable lips. NO HARMFUL CHEMICALS: We believe in making safest products on the market that can be used by everyone. Our products do not contain any harmful chemicals or toxins like petroleum, SLS, PG derivative, no fillers or synthetic fillers. POWERFUL & SIMPLE: We use a simple blend of ingredients that together, create a power formula that hydrates, invigorates, repairs, protects, nourishes and soothes lips. This blend is specifically created for cracked and dry lips by stimulating microcirculation beneath the skin. ENVIRONMENTALLY FRIENDLY: Our Lip Balms are made with zero plastic which is 100% recyclable and features a waste reducing push-pop mechanism. All Shea Brand products are cruelty free and ethically sourced. SHEA BRAND PROMISE: Our powerful, chemical free formulas are made with ancient tried and true all natural ingredients from around the world. We ethically source pure high quality botanicals, butters and essential oils in the most simple and effective way possible. Good luck finding a product that works for you. We hope the one we suggested helps you or your child. Please let us know of any products you have tried that worked for you. We love to share helpful tips and products that have been tried and tested by real people who suffer from eczema.